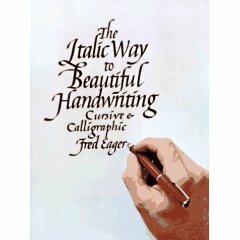 To those who, like myself, wish to improve their inconsistent handwriting, I recommend buying Fred Eager's workbook "The Italic Way to Beautiful Handwriting". 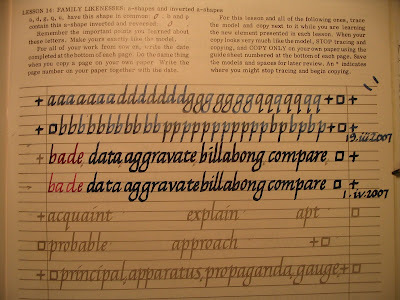 The great thing about it is that you trace the letters directly in the workbook. But don't buy it used like I did - you may find that the pages are already written on. posted by Jonathan at 4/03/2007 10:51:00 p.m.